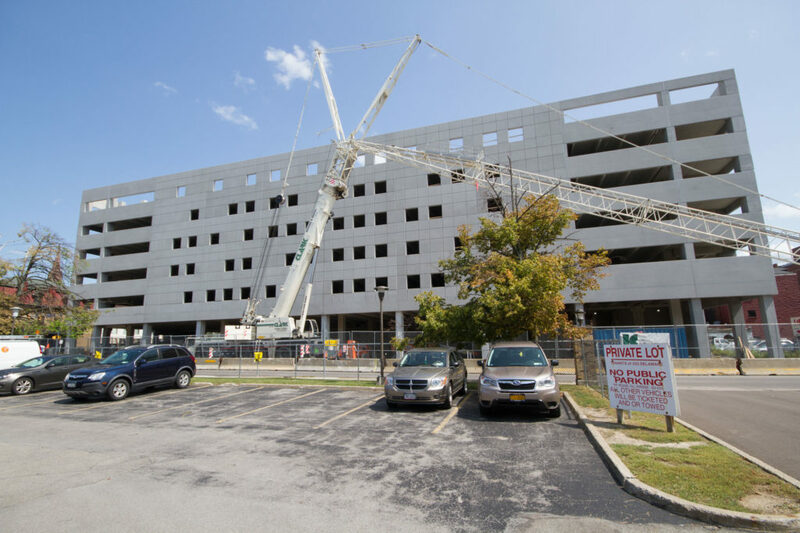 The parking ramp portion of the 500 Pearl Street project is in place with the office, hotel, and apartment floors remaining to be added on top. The 12-story complex fronts Pearl, Franklin and W. Tupper streets. The ramp exterior will see horizontal perforated and non-perforated textured metal screening at the northwest and southwest corners. 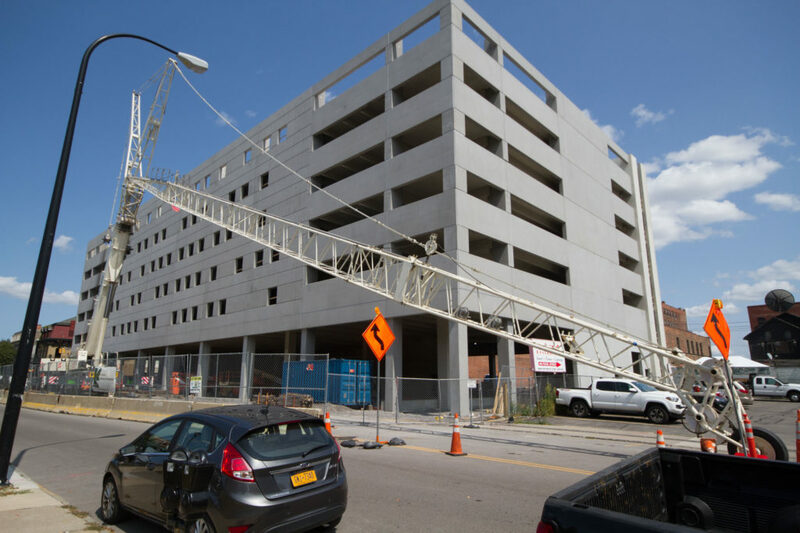 Individual metal screen panels will be added across the Franklin Street elevation and metal screens panels over the pedestrian entrances on Franklin and West Tupper will extrude from the façade to emphasize the entryways. Open terraces and curtain wall glass will dominate the upper floors dedicated to the office, residential and hotel uses.